When you talk about cities that have a bad rep, you pretty much start the conversation with Detroit, every time. Common associations include steel, crime, declining manufacturing induced poverty, and a giant fist (no jokes). 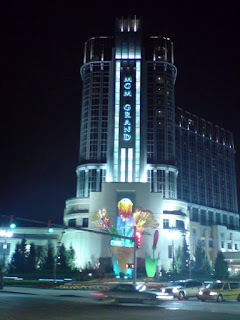 I managed to find myself in Detroit twice in 2008, and despite bad reps and giant fists, ended up having some amazing experiences in the Motor City. The first trip down was on purpose, to check out the Detroit Redwings take on the Dallas Stars in the Stanley Cup Playoffs. The second trip, by unlucky coincidence (or so I thought), was for a conference. Trip#1: A low budget affair, saw 7 guys pack into two university beaters and haul down the 401 to see what Hockeytown had to offer. We loved hockey, and the leafs hadn’t made the playoffs in 4 years and wouldn’t be making it for another 5, so we figured Detroit was our best chance for some good puck within a 5 hour radius. We didn’t plan to spend much time in our room so we went price conscious, choosing the less-than-refined Holiday Inn Express & Suites (now the Holiday Inn Express Detroit Downtown). I’m glad to see the hotel looks a heck of a lot better following a much-needed multimillion dollar reno in 2012/2013 than it did back in 2008. Nice job HI. The hockey game was unbelievable. I’ve been to games in a few towns and I doubt there are any more knowledgeable hockey fans than those in Detroit Rock City. It’s not everywhere where a 40-something year old lady can recount Stevie Yzerman’s point total by year, but we found her in the nose bleeds at Joe Louis arena. Hockeytown, through and through. One thing I noticed Detroit has going on is a solid casino scene. There are not too many guys who would stick a nose up at a night at the MGM Grand, even if it’s not on “the” strip. 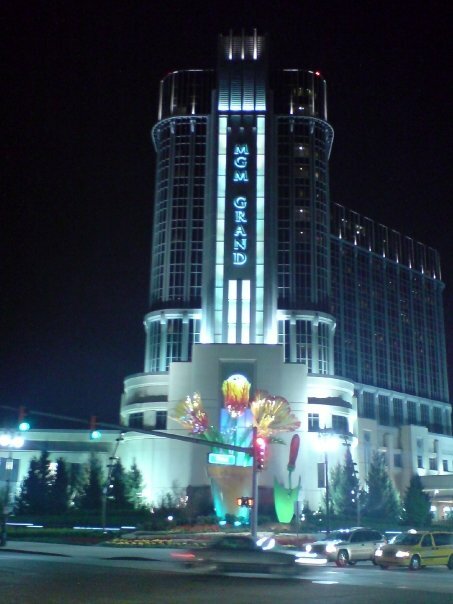 While tame in comparison to Las Vegas, the MGM Grand Detroit has a solid suite of gaming and entertainment, without crazy crowds or lines. Trip #2 Came with less excitement. A business trip with the boss. But the accommodations were fine and expenses were paid so I kept an open mind to make the most of it. On trip #1 I recall one of the guys commenting “don’t worry guys, next time we’ll stay there,” pointing at the General Motors Renaissance Centre, a massive and stunning multipurpose hotel-shopping centre-conference hall. To my luck the conference was held in none other than this crown jewel hotel, and it lived up to the hype. Refined, comfortable and well-appointed rooms, a dynamic conference centre and excellent dining awaited. My open mind came in handy as after meeting some good people at the conference on day one I was invited to a concert that night. With nothing to do in a foreign town, I said sure, without asking the details. Good move. The venue: Saint Andrews Hall, a 100-year-old church-style structure. The band: none other than The Roots, a old school fav of mine! $10 cover and an open mind, equalled a surreal and unforgettable experience. The next night saw a trip to The Greektown Casino, a old, multilevel casino with charm and atmosphere to spare. We popped back over to the MGM Grand to grab dinner at the incredible Wolfgang Puck Pizzeria and Cucina, in my opinion, a must go when in Detroit. Anywhere else a Puck restaurant would be priced-out of contention for the likes of me, but in Detroit, the prices are reasonable while retaining the quality you would expect. Don’t miss out. The lesson here, don’t buy into hype alone. With the right people, the right guide book/website, and the right mindset, you can find an unreal time in almost any town you visit. Detroit, regardless of reputation, made finding that good time incredibly easy for us. 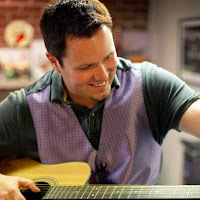 Scott, (@ScottFry) formally of the Ontario-focussed travel blog http://ontarioisms.wordpress.com/, is passionate about all things that make up a good life. Beer, friends, travel, sports, food, beer... he believes that the good life does not come to you, you must pursue it and make it conscious. Scott is in the process of returning to blogging and will be sure to stop by Real Man Travels whenever possible.